Motorola refreshes flagship handset with Moto X Style. It comes with 5.7-inch display adorned with quad HD panel, 3GB RAM and Snapdragon 808. Would this be your next phone? Check it out. 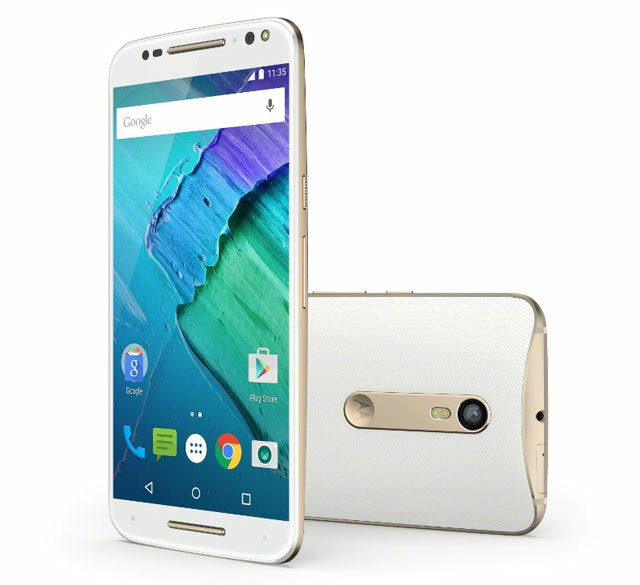 Motorola Moto X Style becomes official as the company’s 2015 top-of-the-line handset. The Lenovo-owned company unveiled the stunning handset alongside its upper mid-tier wingman, the Moto X Play, earlier this week. Both came with great feature set but the Moto X Style took away the crowd, stay with us right after the fold to know why. Everything we expected in a flagship handset has been wrapped in the Moto X Style package. The 5.7-inch Quad HD display is one of the highlights of the release with its 76 percent screen-to-body ratio; this allows the handset to retain the famous front-facing speakers. On the other hand, the handset’s computing power will be provided by the Qualcomm Snapdragon 808 which is the same worker that we have seen in LG G4's internals. Breaking down the chipset reveals two cores of Cortex A57 CPU clocked at 1.8 GHz speed with quad-core 1.44 GHz Cortex-A53 and an Adreno 418 GPU intended for graphics function. As far as memory goes, Moto X Style packs 3GB of RAM with three internal memory configurations - 16GB, 32GB and 64GB. All are expandable up to 128GB. The Moto X Style features 21-megapixel rear sensor with f/2.0 lens which is capable of phase detection, dual CCT (Color Correlated Temperature) Flash, Autofocus, HDR and 4K video capturing. For selfie takers, the 5-megapixel 87-degree wide-angle camera won’t disappoint. Its front-facing flash will also give quality shots in lowlight. The Moto X Style’s battery is nothing groudbreaking; however, the Chicago-based company includes the TurboCharger 25 feature which lets you pack 34 percent battery in just 15 minutes of charging time. Just like any other flagship handset, Moto X Style is capable of churning up to LTE speeds. Likewise, Android 5.1.1 Lollipop will also boot in the handset on the fly. The Moto X Style comes in chic textured silicone rubber backing which is customizable into different colors and materials; the premium back-plate comes with Horween leather. You can also choose between three frame color options. When will Motorola Moto X Style come in the Philippines? The Motorola Moto X Style is priced at USD 399 which is approximately Php 18,000 as of today’s exchange rates. Will it come to the Philippines? There’s a high probability since recently Motorola returned in Philippine smartphone market.